I’m motivated to make a contribution to the pointless arguments that go on over the internet. So hey, why not just do it on my own site. The NBA season is nearing its conclusion, thankfully this means I have a few “gimme” topics to write about. Dwight Howard - The guy that has been a shoe in for this award for the better part of his career made strong push for this award towards the end of the season. His defense post All Star break has been stellar and, other than Kobe Bryant’s Space Jam level offense, has been the driving force behind the Los Angeles Lakers’ playoff push. Howard also leads the NBA in rebounding. Unfortunately for D12 and the Lakers, his efforts weren't enough, the team was altogether pretty horrible on defense. He came into the season still recovering from off season back surgery. The poor shadow of himself that suited up in the first half of the season wasn’t the intimidating presence in the paint that we all were used to. Marc Gasol - The anchor for the best defense in the league. He barks out defensive assignments from the lane and positions his teammates on the perimeter. Rey Moralde of thenolookpass.com champions him as the winner stating “Teams can’t score inside against Memphis, and he’s the reason.” True as it may be, I can’t choose an interior player for this prize if he doesn’t eliminate shots at the rim. Thus, I have to eliminate Pau’s little brother from the win. 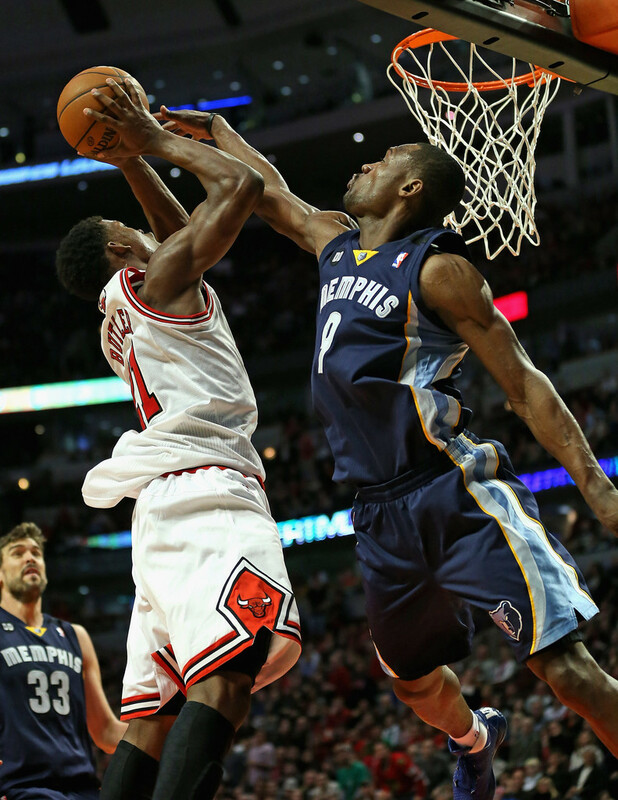 Tony Allen - Like I’ve previously mentioned, Memphis leads the league in fewest points allowed. Several factors play a part in this. Gasol’s defensive IQ, Conley’s 1st line of pressure, but the key factor to this team’s success has been Tony Allen doing Tony Allen things. He’s hands down the best lock-down defender in the NBA today, being a pest and frustrating guys on the perimeter. He doesn't produce high steal numbers but does an excellent job of containing his man and forcing them to pass or into bad shots. Allen also has an uncanny ability to know when to help his teammates by double teaming and forcing turnovers. This is evident by his league leading 94.3 defensive efficiency. Tony Allen everybody! So no SI-fave Larry Sanders, Jr.? Sanders and Tim Duncan are also very deserving of being selected.